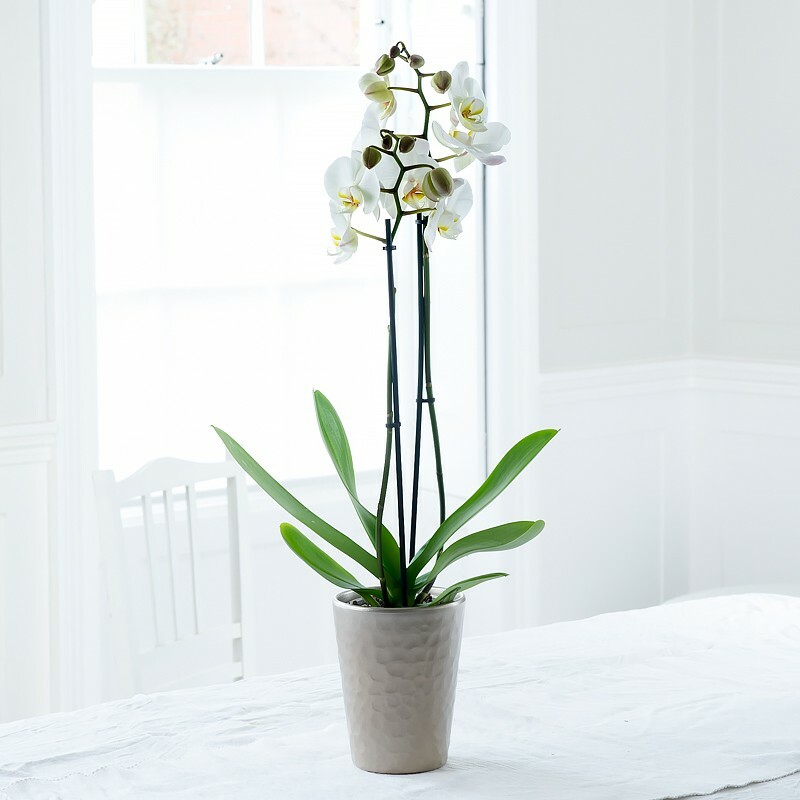 A majestic twin-stemmed large white phalaenopsis orchid plant in a ceramic pot. I ordered this white phalaenopsis orchid plant for my mum and she is delighted with it. It says 'large' in the description but i wasn't expecting it to be so big, it's grown to nearly a meter and the flowers are beautiful and still looking very healthy. Thank you Blossoming Gifts i will certainly recommend you.